For too long, the “American dream” of anyone striking it big has been the de facto standard. For a long time I felt like something was wrong with me. I’ve heard so many people talk about the importance of specializing. People in the self-help space espoused the benefits of finding your passion and putting everything you have into becoming great at doing that one thing. Meanwhile more traditionally-minded folks stuck with rhetoric about how companies don’t want to hire a person who is a jack-of-all-trades. Rather, they want to build their companies around employees who are the best in the world at their particular jobs. So, specialize. Focus on getting great at doing one thing, either because it’s your passion or because it’s what the markets want. The preliminary results came in and I’m excited to say that I’ve been elected to Council for the City of Yachats! As I mentioned recently, I’m a frequent reader and occasional contributor on the Ask Historians subreddit. Why, despite its rich 18th century history and involvement in slave-driven agriculture, did Charleston, South Carolina, not become a major American metropolis on par with Boston, New York, and Philadelphia? I chimed in with the following response, adapted for this format, that others appreciated. 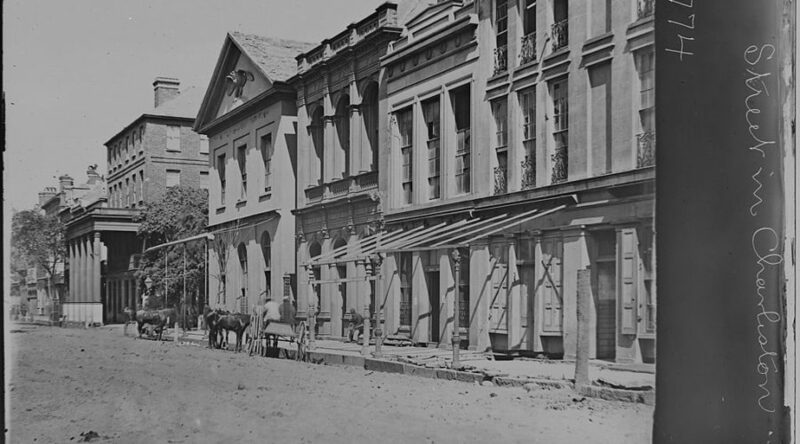 As another response pointed out, it is true that the Civil War had devastating effects on Charleston and other southern cities. But the city’s troubles started earlier. In terms of relative population, Charleston was in decline by the Civil War.